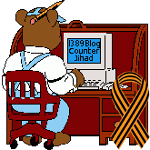 Stupid, Crazy, AND Evil — 1389 Blog - Counterjihad! Proposed bill forbids NYC cops from using physical descriptions of suspects because that’s profiling! Wesley Clark on a celebrity cruise? Gimme a break!